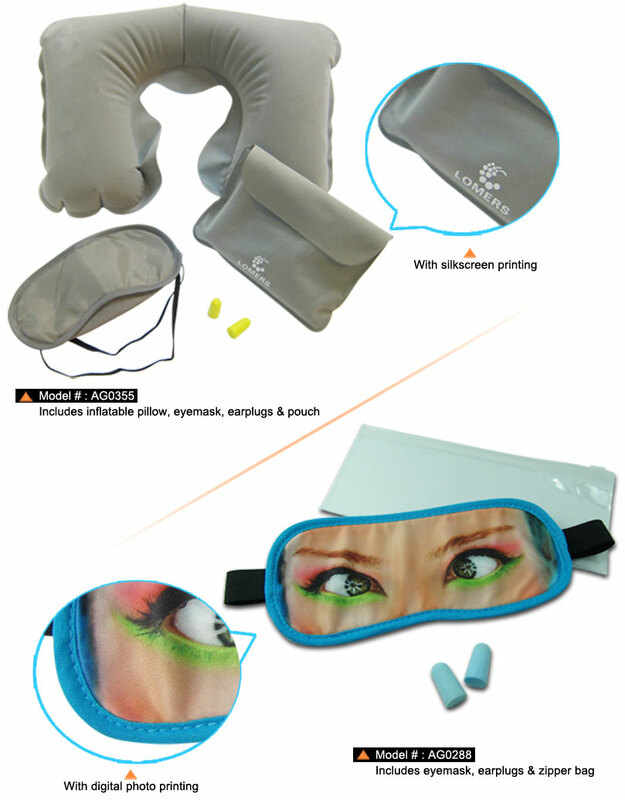 3 in 1 handy travel sleeping kit includes inflatable neck pillow + eye mask + earplugs in a pouch , block out unnecessary light & noise, and giives support to your neck for easy sleeping, ensures you rest soundly no matter if you are traveling by airplane, car or just relaxing at the pool or at home. Soft material and fine workmanship brings your eyes and neck easeful feeling, never scratch skin even long time wearing. 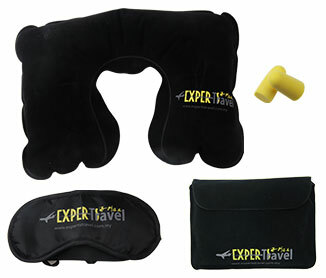 Perfect for long journey rest on plane, train, cruise, or coach, It brings people greatly comfortable & luxuries travelling experience & relaxing time. 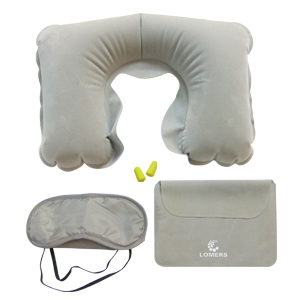 With this travel sleeping kit , you can rest and relax peacefully throughout your flight. 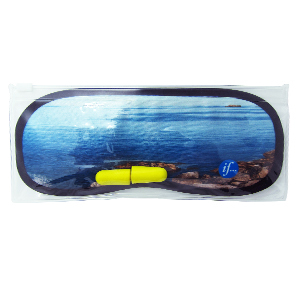 Best choice for gifts & promotional items for travel agency and airline companies. 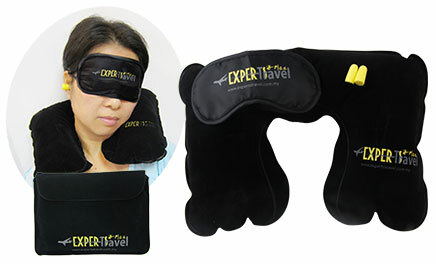 Must-have item for traveller and bad sleeper . Welcome OEM order at MOQ 3,000 sets.